No one treatment can resolve TMJ disorders completely and treatment takes time to become effective. We can help you have a healthier and more comfortable jaw. Once an evaluation confirms a diagnosis of TMJ disorder, we will determine the proper course of treatment. It is important to note that treatment always works best with a team approach of self-care joined with professional care. The initial goals are to relieve the muscle spasm and joint pain. This is usually accomplished with a pain reliever, anti-inflammatory or muscle relaxant. If your TMJ disorder has caused problems with how your teeth fit together, you may need treatment such as bite adjustment (equilibration), orthodontics with or without jaw reconstruction, or restorative dental work. Call the offices of A Lifetime of Smiles in LaSalle or Princeton, Illinois. Here, our staff will help care for you from the very first phone call. 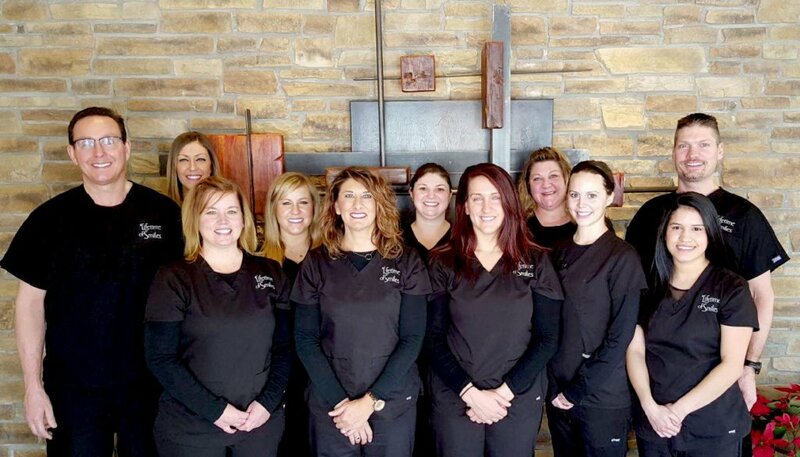 Dr. Ed Monroe and his team will listen to your concerns and discuss treatment options. Our goal is give you the greatest care and effective treatment for TM joint pain. Contact us today and let’s improve the health of your smile!